2. 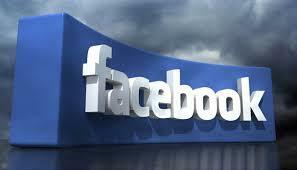 Use this link to navigate to the Facebook "Special Request for Deceased Person's Account" page. 3. Now, enter your full name as well as the full name of the deceased person's account in the provided input boxes. 4. Enter the email address that was used to create the Facebook account of the deceased person in the third input box. 6. Click the radio button next to the option that best describes your relationship to the deceased person. 7. Click the radio button next to "Please remove this account" in the "How can we help you" section of the special request page. 8. Click the "Upload" button, and then click "Choose File." Select any relevant documentation, such as a death certificate or birth certificate of the deceased, in order to prove that you are an immediate family member. 9. Enter your special request or question if you have any in the "Additional information" input box, and then press the "Send" button. Facebook will remove the profile of the deceased person after verifying that you are an immediate family member who has the right to request such an action. Hi! There, thank you for reading this article it's a great pleasure having you around. If yes, please don't hesitate to share it with your friends via the social media buttons above. Congratulations, you have the opportunity to be the first commenter. Have a question or suggestion? Please leave a comment to start the discussion. Check Out Our Posts Here!! !